SG Emmett & Son hand make cake tins, the old fashioned way. No computerised machinery here - just a couple of people, using old machinery, crafting beautifully made cake tins. In a small workshop on the Channel Highway in Cygnet, Tasmania it is one of only two cake tin manufacturers in Australia. The company, which is now owned by Paul Kenyon and Denise Darnell was started in 1924 by Mr Emmett. Mr Emmett made all types of tin products - rubbish bins, funnels, lanterns, watering cans and cake tins. Today Paul and Denise specialise in cake tins. On our most recent trip to Tasmania, we called into the workshop to collect some tins I had bought. Denise offered to showed us around, describing the process and the machines used to manufacture the various shaped cake tins. It is about as far from modern, robotic manufacturing as you can imagine. You don’t feed in a piece of tin and out the other end spits a shiny new cake tin. Here each step of the manufacturing is done by a machine that specialises in just that function. There is one that cuts the tin and one that cuts the notches in the tin where it is folded. There is a machine that folds over the edges of the tin, there is one that makes the seam, and one that places the wire at the top of the tin so that the shape holds. There are machines for square and rectangular tins and ones for round tins. Paul and Denise still use the same machines that were used in the 1930s, many of them made by John Heine and Son in Sydney. While they show signs of wear and tear they are lovingly maintained, well oiled and smooth. Denise finishes the tins off with a thin layer of cooking oil to protect them and wraps them in butchers paper before sending them to various outlets throughout the country. There is something quite mesmerising about the entire process. 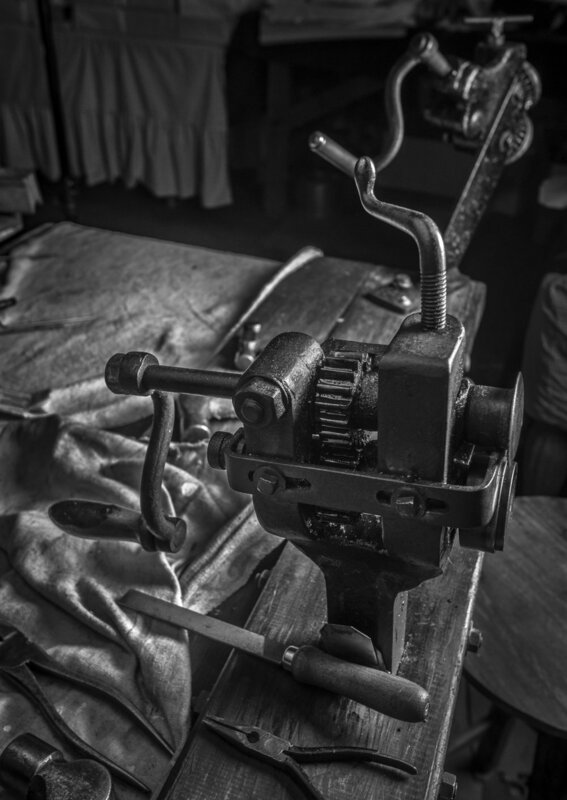 The timelessness of it, the fact that there is no part of the process that can be rushed, the grace of the machinery and the sheer simplicity and utility of the finished product. If they are well looked after the tins will last for generations, something you can pass down through the family. And I hope the tins are made like this for generations to come as well.